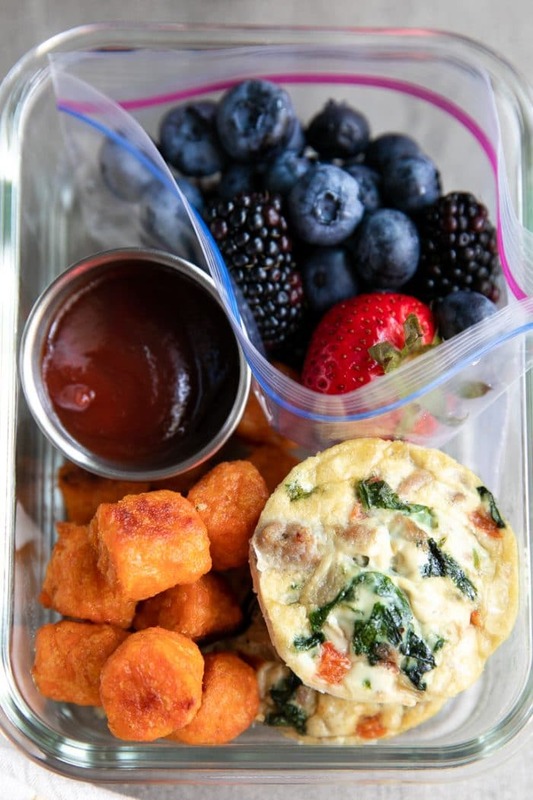 This Muffin Egg Cups Recipe is a fun and easy breakfast idea made with fresh spinach, bell pepper, onion, and sausage. 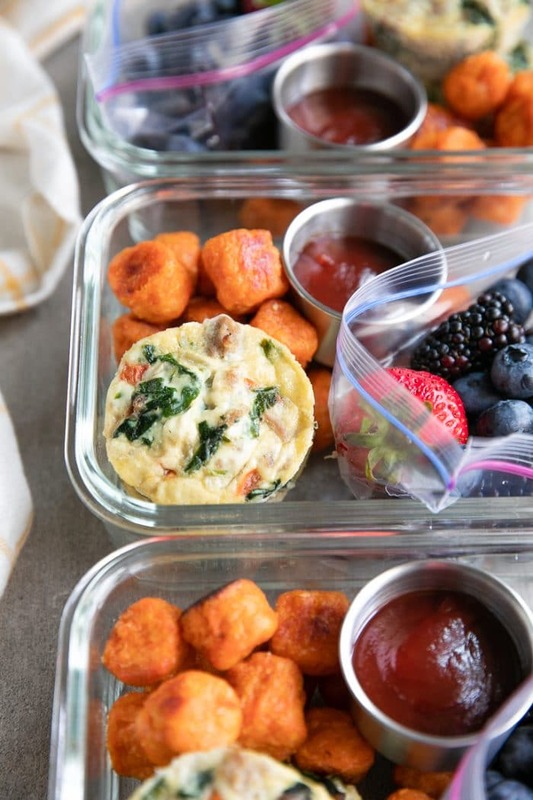 Loved by kids and grown-ups, pair these egg cups with your favorite hash browns and fresh fruit for a fast and delicious breakfast meal prep idea. Most mornings lately I have felt like I have two children to feed rather than just one. My husband, usually so easy going and self-sufficient, has recently started becoming more verbal about his morning breakfast needs. If you know me then you’ll know that I am not a morning person. I don’t want to think about anything until I am well into my second shot of espresso and definitely not about what I am going to feed my husband for breakfast. I love him. I do. But an elaborate breakfast before brunch just isn’t going to happen. Sorry, not sorry. 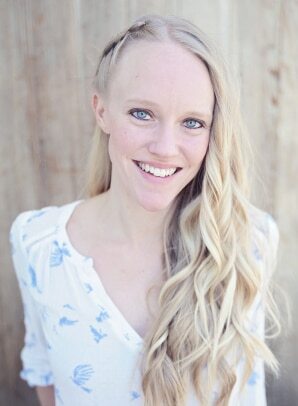 So, when my husband starts saying things like, “we need to eat more eggs for breakfast” I start to stress out. I mean, it’s true. And while, yes, my husband does make eggs for breakfast every couple of weeks, I know we can do better. My solution? Egg cups. This muffin egg cups recipe is freezable, customizable, and the very best breakfast meal prep idea EVER! Perfect for anyone with crazy early mornings, kiddos going back-to-school, or for husbands that just really need some eggs in the AM. Of course, if you’re vegetarian or you’re trying to eat healthier, you can always skip the sausage. The two boys in my life, however, love sausage- especially the little one. Speaking of sausage- I used sweet Italian sausage, but feel free to use whatever you and your own family love. And don’t worry if you can’t find ground (pork) sausage, simply remove the casings and viola! ground sausage. If you prefer pre-cooked chicken sausage, I recommend chopping the sausage into small bite-size pieces and quickly browning them in a skillet over medium-high heat after the vegetables have been sauteéd. Since the chicken sausage have already been cooked, they will not need as long as the ground pork sausage to cook. As I mentioned above, you may skip the sausage or substitute with chicken sausage and still get delicious tasting egg cups for breakfast. 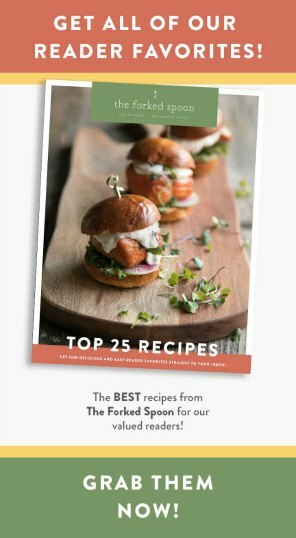 Simply use the cooking time and egg amounts as a base for any egg cup recipe. One of my favorite things to do with all eggs (and now with these muffin egg cups) is to take any produce that is about to go bad, cook it together, and make something new. Egg cups are a great place to put all those leftovers from your weekly refrigerator cleanout. Since, you know, food waste is dumb…and lazy. They’re a great place to sneak in extra veggies for the kiddos. Who knows, maybe your kid won’t notice. 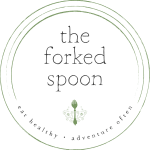 They’re food disposals- aka the place (nearly bad) food goes for a second chance. And meal prep(able). And we all know how legit obsession I am with meal prep these days. Ok, so all of this is great, but what about breakfast meal prep? How can you meal prep these egg cups? Meal prepping is relatively straight-forward. Yes, the process of planning and grocery shopping for all the stuff can be a pain in the you-know-what, BUT, it is so worth all the hours you save mid-week. I don’t know about you guys, but I would much rather spend a couple hours meal prepping something for breakfast, lunch, and dinner on Sunday or Monday than mid-week. Of course, food is my job, so I think about food literally all the time, but if it wasn’t my job, well, you can guarantee that I would have meal prepping down to an art. Fresh fruit- whatever is your fav. You get protein, veggies (though, not much, so we’ll need more of those later), carbs, and fruit. Overall, a relatively balanced breakfast. 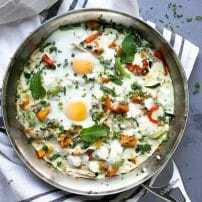 How can you make this breakfast meal prep healthier? Use shredded chicken breast instead of the sausage in the egg cups and instead of tater tots add roasted sweet potatoes or sugar-free yogurt. 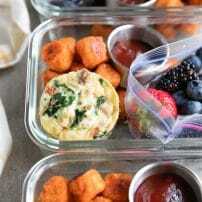 Meal Prep Bowls: You will need something to store and hold all your delicious Muffin Egg Cups, right? These are my recommendations. This Sausage and Egg Cups Recipe is a fun and easy breakfast idea made with fresh spinach, bell pepper, onion, and sausage. 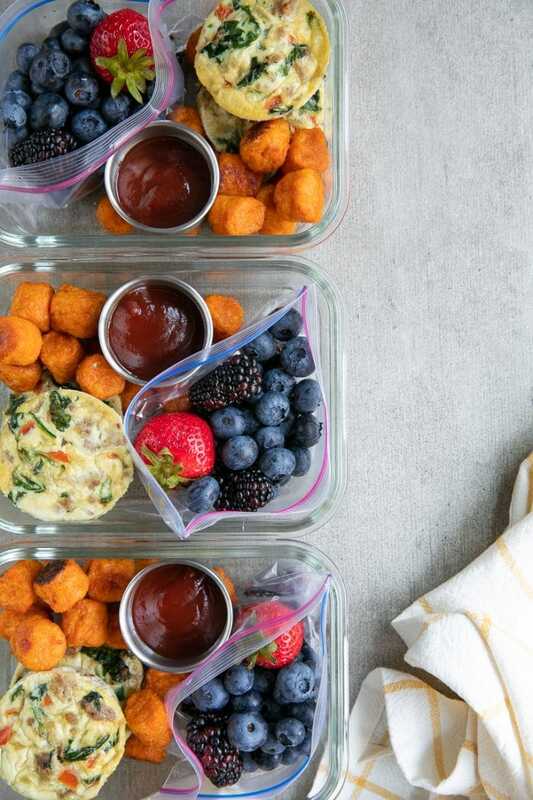 Loved by kids and grown-ups, pair these egg cups with your favorite hash browns and fresh fruit for a fast and delicious breakfast meal prep idea. Preheat oven to 350 degrees F. Spray a standard 12-hole muffin tin with cooking spray. Set aside. Add butter to a large non-stick skillet over medium heat. Once butter is melted and the skillet is hot, add the onion and bell pepper. Sauté for 4-5 minutes, stirring frequently. Add spinach and cook just until spinach has wilted. Season with salt and pepper and remove vegetables to a clean plate. Return skillet to the heat. Add the ground sausage and cook for 4-6 minutes, breaking apart into small bite-size pieces with a large spoon or spatula, until the sausage is cooked through. Remove from heat and set aside to cool. In a medium bowl whisk together the eggs with the egg whites. 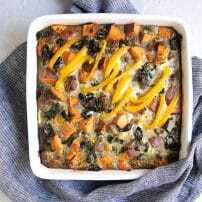 Stir the vegetables and sausage in with the egg and divide evenly between the 12-hole muffin tin. Bake eggs for approximately 20 minutes, or until the tops are firm to the touch and eggs are cooked through. Allow egg cups to cool slightly before serving. Store leftovers in an air-tight container in the refrigerator for up to 4-5 days. To freeze, wrap each egg cup in plastic wrap and place in the freezer. to reheat, remove plastic wrap and microwave until warm. 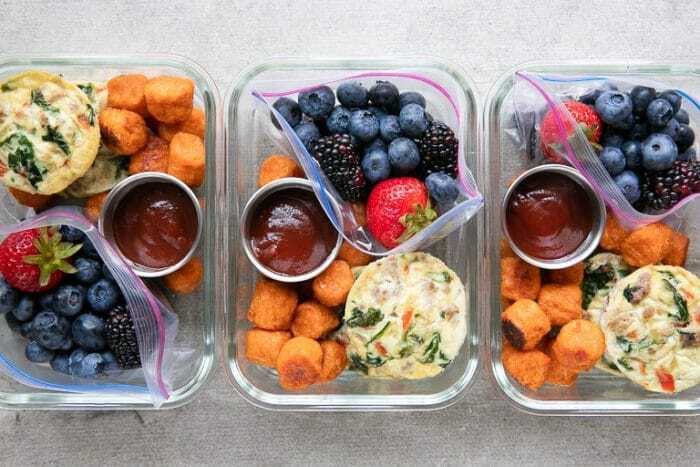 Place the desired number of egg cups and your favorite hash browns or tater tots in meal prep trays. Add fruit to a small ziplock bag and store in the refrigerator for up to 3-4 days. Enjoy! To keep the fruit fresh, I recommend placing your fruit in a small plastic bag sealed shut until ready to serve. 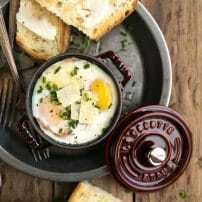 Want to try this Egg Cups Recipe? to your Meal Prep or Breakfast Boards on Pinterest and save it for later!